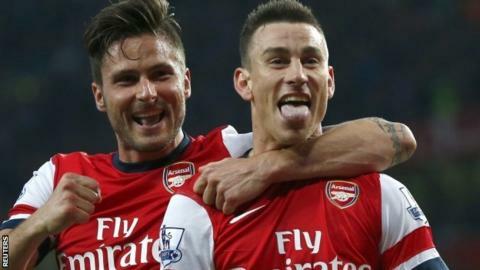 Arsenal defender Laurent Koscielny has signed a new long-term contract. Koscielny, signed in 2010, has been a key component of a defence that helped secure fourth spot in the Premier League and reach the FA Cup final. "I am very proud to have reached agreement with the club on a new contract," said the 28-year-old. "I have enjoyed four great years at Arsenal already, and I look forward to continuing to help the team in the years to come." Arsenal have kept 15 clean sheets in Koscielny's 31 league games this term, which has helped ensure the Gunners have qualified for the Champions League for a 17th consecutive season. "Laurent has proven himself to be an outstanding player since joining us in 2010 and has showed his quality once again this season," said Wenger. "I am delighted he has decided to commit his future to the club."